Have you used Quixey.com lately? 1. Searching all of the apps in its data base (see below). Although not a search engine like Bridging App, a search engine created specifically for apps related to individuals with disabilities, it is another option for finding apps in general needed for business, personal or organization that includes a variety of devices including Chrome extensions and browser (yet another platform now frequently used at school). 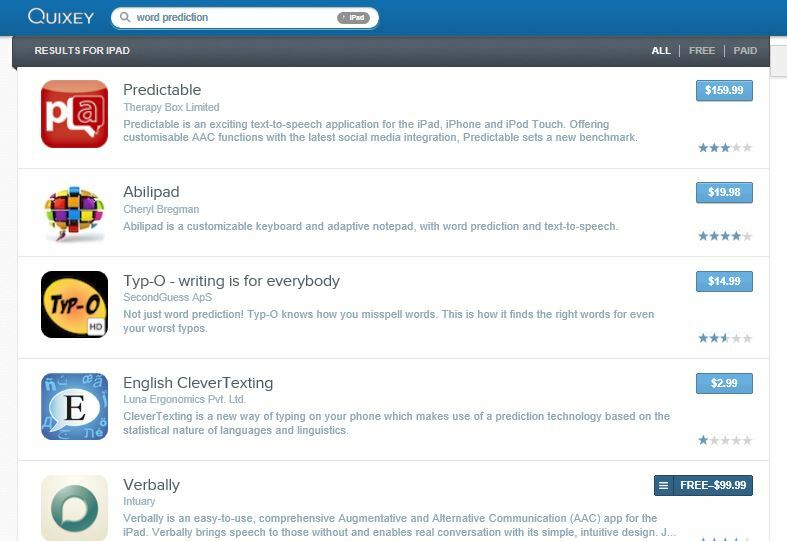 A search using the subject word prediction generated the following list (there are many more in the list) resulting in many familiar apps with word prediction as well as unfamiliar app names. Cost, rating, developer and brief description is listed with a link to an expanded view of information. The online search engine has a clean, easy to navigate interface. Having another option for identifying apps or extensions such as needed for the Google platform is very helpful with the wide variety of platforms and devices available and widely used. Using Quixey this time was a much improved experience or past trials. 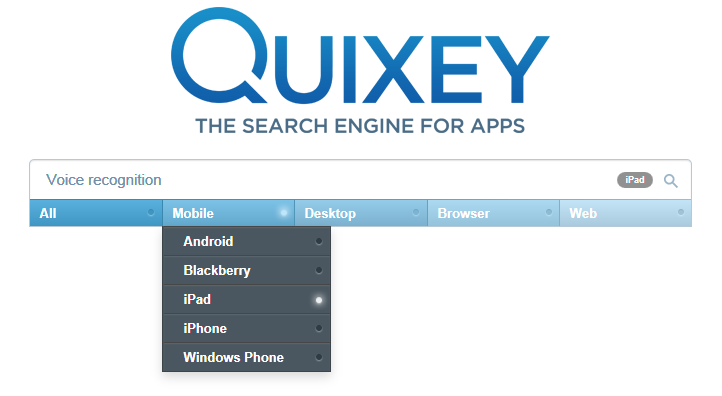 Quixey will be another go to search engine for the quest for solutions for clients’ and personal app needs. A resource to support your OT mTool Kit – what ever the platform or device! This entry was posted in Android, App Reviews, Apps for OT's, Google Docs, iPad, iPhone, iPod, Mobile Device Use and tagged Android, App Review, App Review sites, iPad, iPad accessories, iPod, occupational therapy. Bookmark the permalink.